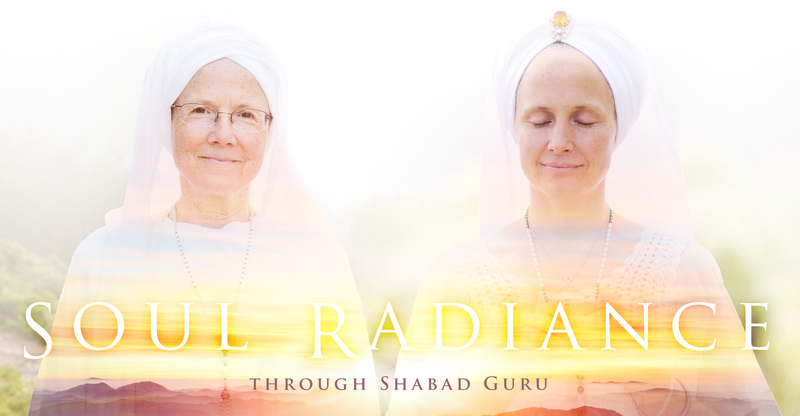 In this intensive, taught by Snatam Kaur and her mother, Prabhu Nam Kaur, each participant will have the opportunity to embody sacred sound as teacher (Shabad Guru), through an in-depth experience of three Shabads (sacred songs from the Sikh tradition), guiding us through a vital soul journey. We will first release negativity to clear the energy of emotional patterns, then find internal healing, and finally open the channels of the body to experience the voice of the soul. When this voice is activated it not only sends healing energy throughout the body, but also allows the soul voice to be heard as the core vibration of one’s life. All thoughts, words, and actions can come from this beautiful voice. We will utilize the powerful technologies of Kundalini Yoga and Sikh Dharma to support our journey. Soul Radiance for Kids will be taught as a companion course so children (ages 6-12) and adults alike can learn this sacred technology as it was meant to be shared - fully in community mixing voices of all ages. Voice of the Soul for Kids will be led by another experienced mother-daughter duo, Jai Fuller (Khalsa Camp) and her mother, Amar Fuller (Khalsa Childcare). In the first half of the day, children will learn directly from Snatam and Prabhu Nam, participating in vocal warm ups, Kundalini yoga and chanting with the adult group. The morning teaching will be accessible to children and the adults will benefit from having their young energy present. It is our experience that children absorb this content quickly and naturally and it serves both groups by mixing them in this way. Parents can relax into their experience knowing that Jai and Amar will be present with the children, attending to any individual need that may arise during this shared morning session. Jai and Amar will gather the children for lunch and lead them in an afternoon of summer delight. Jai will apply her background in dance and theater as well as her knowledge of experiential learning to bring the essence of these Shabads to life through fun and play. Each child will relate to the sacred song in a way that is uniquely their own through skits, role-playing and art. The course will be held at the beautiful Yoga at the Ashram: The Baba Siri Chand Yoga & Retreat Center at Guru Ram Das Ashram, specifically chosen for this course because of the sacred energy of the Gurdwara (Sikh place of worship), that has been cultivated there for many years. The Ashram has many magical places for kids to explore and be in nature. No yoga or musical experience required. There will be time during the course for instructions to musicians. Registration fee includes all course materials and lunches each day (Tuesday - Sunday). All additional accommodations (lodging and food) will be handled by Yoga at the Ashram once registration is complete. Please contact them directly. Bring comfortable clothing, a yoga mat, a journal, and a water bottle. Please bring a head covering that covers the top of the head to each day of the course. For general questions contact Nirankar Kaur by cell phone at 603-562-6813 or by email at [email protected] For questions regarding the location and accommodations please call Yoga at the Ashram at 508-376-4525 or visit their website and click on Your Visit. Please note: Refunds will not be entertained after July 30, 2019. For your convenience, affordable payment plans are available now through August 2019. Please add a ticket to your cart and proceed to page 2 of the registration process to explore our payment plan options. Traveling from outside the USA? Use the coupon code FARAWAY to receive a discount.